Broadwindsor Jubilee Group has handed out donations to local causes after its fun weekend in June. The chairman, Alan Bunch, presented cheques for £300 to the village church fabric fund, £150 to the Brownies for uniforms and training and £50 to Fullers sheltered housing accommodation towards a Christmas meal. The presentation was made prior to a thank you evening on Bernards’ Place for all the fun weekend helpers. The jubilee group put back some money towards a fireworks display on 1 November and is pleased to have secured sponsorship from estate agents Symonds & Sampson to ensure a good show, after a two-year absence from the village square. 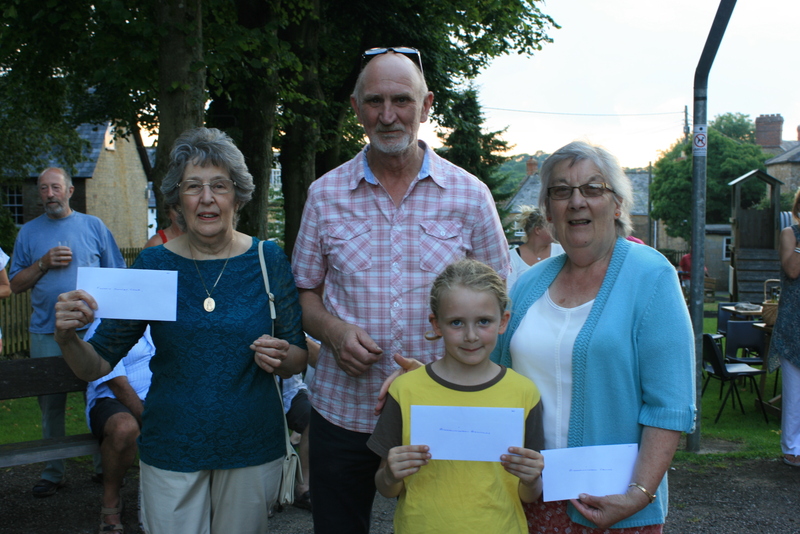 Picture shows Denny Hughes from Fullers, Alan Bunch from Broadwindsor Jubilee Group, Brownie Millie-Jane House and Ruth Yarde, churchwarden.